Insurance is one of the most complicated issues we deal with. There are tons of different types of insurance from auto, health, life, homeowners and property. Each type of insurance comes a different set of rules and different questions to ask. I’ve often said that high school students should take a short course on insurance, money management and other adult life skills. Let’s face it, insurance will be in your life no matter what. You are required by law to have auto insurance and homeowners insurance. Most everyone has health insurance. This is not something you will be able to avoid in your life. You will need to know the basics of insurance. 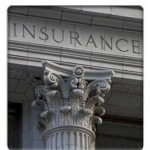 So, to help you diffuse some of the stress when obtaining insurance lets begin a blog series: Insurance 101. 1. Insurance is a way to manage risk. We are all at risk for a loss to occur, whether it be an auto accident, a flood, or a health concern. Any of these losses could devastate your finances. Insurance helps transfer the risk to a larger group to help cover the cost of the loss over time. 2. Obtaining insurance in itself is a risk. You are putting money down now because you are betting you will have a loss in the future. The money you put in, the premium, may be used by you or it may not. Therefore, when you obtain insurance know that your premium is essentially your gamble to protect yourself in the future. 3. Not obtaining insurance is a risk as well. If you choose not to insure yourself then you are betting that you will not have a loss in the future. But, should you have a loss, you will be forced to resolve the financial consequences alone. Instead of spreading out the money over a long period of time, you will be forced to resolve the issue in one lump sum. Insurance is a good idea. It can potentially cover your finances from total devastation. We often see renters who experience a fire or flood in their home. With no renters or property policy in place, they are forced to replace all their items out of pocket. Insurance should not be an extra expense in your budget, it should be a staple, such as your electric bill or groceries. It very well may save you when your time comes, and the law of numbers says that at some point, you will have a loss.